The Internet of Things, Big Data and Artificial Intelligence are paving the way for completely new opportunities and business models for companies. However, they need to create smart products and do away with conventional thinking. A telephone is no longer simply a piece of equipment used to make a call, and a car is no longer just something used to transport oneself from A to B. In a world in which computer technology is constantly making new breakthroughs, where hardware is constantly becoming faster and smaller, and where computer chips are no longer just something soldered to a motherboard, it is no longer sufficient to be good at things one has always done. Technology changes the products that have always been taken for granted, and the glorious production companies of the past now see themselves in competition with companies they could never in their wildest dreams have imagined just a decade ago. Intelligent thermostats from Nest, for example, use Google algorithms to teach themselves how they should be adjusted, making them a serious competitor to Danfoss today. To survive in the current and future global market, it can therefore be necessary for production companies to completely rethink their business model. If not, it could mean that they become swallowed up by development. This happened to Nokia, for example, the Finnish telecommunications giant that completely lost its leading global position when Apple introduced the iPhone. A considerable number of production companies have therefore joined forces with institutions including Aarhus University, which will help the companies to make their products smart in collaboration with a number of partners. The project is called MADE Digital, and it is funded by Innovation Fund Denmark. The project contains nine work packages and the one that addresses smart industrial products is called WP1. 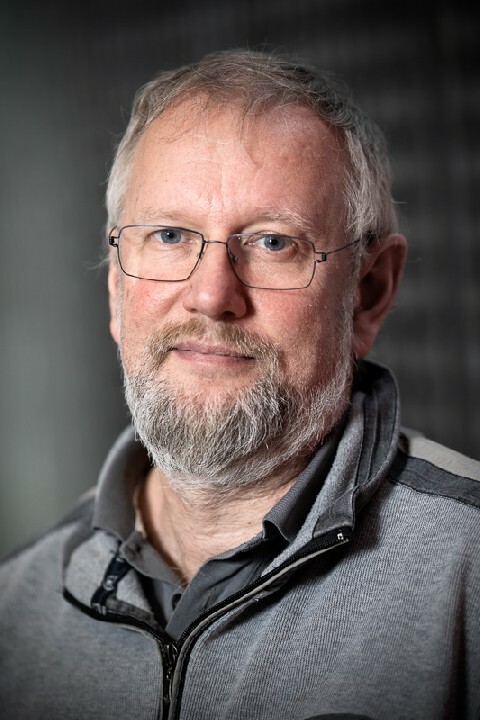 Professor Peter Gorm Larsen heads the work in this work package. “To be smart, companies and their products need to climb a ladder. In addition to the basic product, there are four steps on the ladder leading to a completely autonomic solution – in cases where this is desirable. What’s essential for the companies is to determine where they want to end up on the ladder,” he says. The first step is concerned with monitoring. This typically involves building a sensor into a product to monitor whether the product requires service, for example. Here the Internet of Things (IoT) is one of the technologies that makes it possible to communicate data out. The next step is to be capable of checking the product with integrated software that can take action based on sensor data. A cyber-physical system (CPS) is the name of the technology that is necessary when there is a close correlation between the physical part of the product and the software used to control it. The third step is about automatic product optimisation – how to do things better by using technologies such as Big Data analysis or machine learning to break down large amounts of information about the product’s behaviour. The last step on the ladder is full autonomy, where the computer is in complete control of the product with no human interaction so that it makes its own diagnosis and takes possible errors into consideration, and can even optimise and coordinate with other products and systems. Disregarding the last step, which according to Professor Larsen is clearly the most exciting from a technological point of view but also the most difficult and challenging, it could be tempting to think that the engineering challenges are right up our street. However, the real problem with making products smart is, in fact, not exclusively optimising the physical product, according to Professor Larsen. “The major challenge for companies is typically to do away with silo mentality. To break down barriers internally. To do things smarter requires a multidisciplinary understanding of the disciplines that must be used to achieve the physical transformation of the product. It’s not enough to have a mechanics department, a software department, and an electronics department, where each one only focuses on its own field. We need instead to do something that makes close dialogue possible between the professions so they can understand each other and not delay the development of a new product. In my opinion, this is a problem that goes right back to our education system, and it’s really something we need to work on,” he says. It is thus the internal processes in development and production that must be reconsidered. When developing something in the old days that had a mechanical part controlled by software, the mechanical part was built first. When that was finished, a start could be made on developing the software. “But this is much too slow in relation to the world today. Sharply dividing the stages into development and production doesn’t work,” says Professor Larsen. “Today you simulate the products before you build them. Before you have the finished mechanics, you’ve made a model of it, used differential equations to model how it will behave physically, made the control part as a model based on discrete mathematics, and run the whole thing through. By simulating the thing first, you can very easily find out what’s right and what’s wrong to do before you build it,” he continues. This is where Aarhus University can help the production companies. The university’s researchers have developed software that can help companies simulate a smart upgrading of their product. This makes them a good sounding board for industry in Denmark because the software makes it possible to help companies clarify the best way to turn when there are many options. The university also helps companies to find the most sensible technologies to use to reach the step they want on the ladder with a view to the future. Professor Larsen provides the following example. A large Danish company called C.C. Jensen is a market leader in oil filtering systems. To put it plainly, they manufacture oil filters for applications such as marine engines. The company has now produced a sensor that can measure the oil when it runs through the filter, and this is smart because the filter can thereby provide information about the condition of the engine. The next step in the chain is to make use of the data produced by the sensor, but how can information be communicated from an oil filter located in another part of the world? And how much ‘power’ should the filter have if the sensor’s measurements are to be exploited? Should it be able to stop the motor, for example, if it registers a fault? These are some of the issues that the Aarhus University researchers are now helping to solve. There are many technical challenges involved in making products smarter than they already were. This also means that the upgraded product can end up becoming more expensive than it was initially. However, the extra cost can mean that the customer gets an extra service that makes it worth the price. A new marine engine is expensive, so a smart oil filter that can alert the user before the engine breaks down is no doubt worth the price. In the same way, people all over the world found that the extra services provided by a smartphone were worth the higher price tag. There are 59 partners in MADE Digital.